When my anxiety is at its worst, it’s deeply painful, erasing love and life. But there are some upsides. It is early on the morning of December 5, 1989. At least early for a college student, which is what I am. I feel fine. I’m groggy from a late night of studying and touched by a bit of Midwestern late-fall dread, anticipating another long winter of fierce winds and sleeping-bag-shaped coats. But I’m fine. And then, a second later, I’m not. A knot of fear erupts at the base of my spine and travels upward. My stomach flips, and I break out in a thin film of sweat. My heart rate shoots up — I feel the erratic thump thump banging against my ears, my stomach, my eyes. My breathing turns shallow and fast. Fuzzy gray blotches appear before my eyes. The onset is as sudden as a car crash. Something in my body or brain has gone dramatically and irrevocably wrong. My noisy internal monologue — usually flitting from school to boys to a laundry list of insecurities — coalesces around one certain refrain: I’m dying. I’m dying. I’m dying. Over the next several weeks, the racing heart, the shallow breathing and the terror don’t abate. I develop weird new symptoms: tingling in my face and feet, chest pain, constant vertigo. I see a doctor. Over the next year, I see a dozen more. During that time, I will have several EKGs, countless blood tests, a CAT scan and an MRI of my brain. I will take multiple trips to the ER, each time leaving without a diagnosis. This medical odyssey will cost thousands of dollars. And still no one will know what is wrong with me. Fast-forward to the beginning of the next school year. I am sitting in a psychiatrist’s office at the campus health center, telling the doctor that I won’t — I can’t — leave until she does something. She says she can prescribe an antidepressant, or she can refer me to the anxiety disorders program at the local hospital. Anxiety disorder. It is the first time anyone has spoken the words. Eleven different anxiety disorders are listed in the Diagnostic and Statistical Manual of Mental Disorders, commonly referred to as the diagnostic bible. I had symptoms of four. I was having panic attacks — sudden, intense periods of blinding terror, rapid breathing, and chest pain — several times a day (diagnosis: panic disorder). The rest of the time I worried, living with the nervous expectation of imminent disaster (diagnosis: generalized anxiety disorder, or GAD). I had developed a long list of particular fears, too: dentists, flying, driving on highways, taking medication, touching dirt, using a new tube of toothpaste, and licking envelopes. I did my best to avoid them all (diagnosis: specific phobia). My world was becoming smaller as more places became no-go zones: movie theaters, stadiums, lines. The potential for panic attacks — and the difficulty of escape — was too great (diagnosis: agoraphobia). The estimated number of people who will have at least one anxiety disorder during the course of their lives is staggering: one in three Americans ages thirteen or older. If we look only at women, the number is even higher — about 40 percent. After a course of cognitive behavioral therapy, I eventually recovered from my acute college episode. 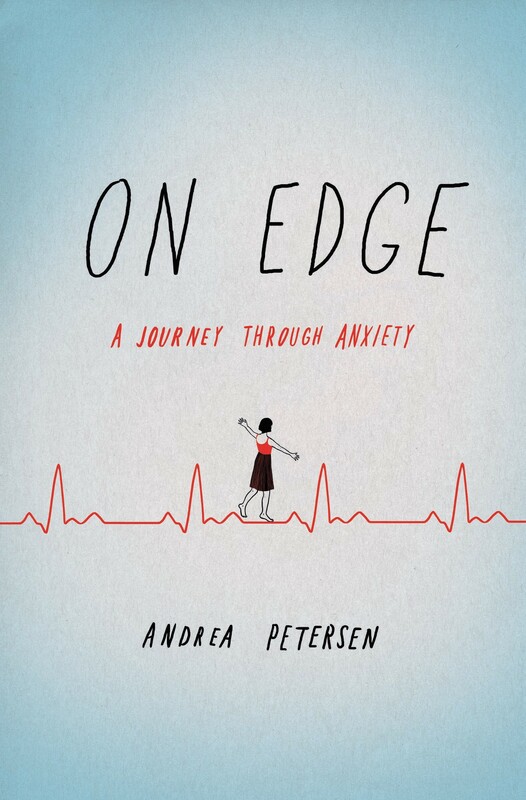 But, for me, anxiety has been a chronic illness, waxing and waning over the years. Now, after more than twenty-five years of living with anxiety disorders, I know better than to hope for a cure. When things are rough and anxiety threatens to derail my life, I reach for medication. I see my longtime psychologist. I try new forms of therapy. Even when things are going smoothly, I’m careful. I arrange my life so I can sleep eight hours a night. I rarely drink. I do yoga and take walks in the park. When my anxiety is at its worst, it’s deeply painful, erasing love and life. But there are some upsides. Reams of studies have looked at the mind-body connection. In anxious people, that link seems amplified. When my marriage feels off-kilter, when I’m avoiding some necessary confrontation or saying yes to too many superfluous obligations, I feel it in my hopped-up amygdala. Weirdly, anxiety makes me live a more authentic life. And a more empathic one. Anxiety has made me ask for help, made me vulnerable, and thereby deepened my friendships. A background hum of uneasiness has motivated me to work harder, travel farther, speak more honestly, and curiously, take more risks than I might have otherwise. People who have a brush with death often talk of how it has given them a sense of what really matters. An omnipresent fear of disaster, a constant bracing for catastrophe can do that, too. Anxiety means I’m simply not mellow enough to take things for granted. And that has made my life all the richer. Copyright © 2017 by Andrea Petersen. Published by Crown, an imprint of Penguin Random House LLC.